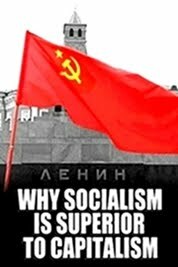 In Defense of Communism: Kemal Okuyan: "The real threat of Turkey is the bourgeoisie. The big monopolies are the biggest crime organizations"
Kemal Okuyan: "The real threat of Turkey is the bourgeoisie. 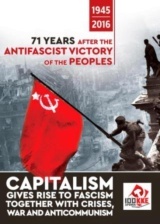 The big monopolies are the biggest crime organizations"
In the following days of the 15th July coup attempt in Turkey, the Communist Party, Turkey released numerous statements and analysis regarding the situation in the country and the immediate agenda of the class struggle in Turkey. 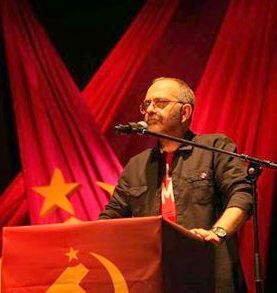 The following is a commentary by the First Secretary of the CC of the Communist Party, Turkey, Kemal Okuyan which composes KP's recent line of politics. The Gulenists had seized the state. This is what they say. But, the picture shows that the Gulenists are in some extent the state itself. ‘Seizing’ does not, and cannot, correspond to reality. The truth is totally the opposite. I shall not repeat how and why the Gulenist movement had increased its influence, as we have talked and written a lot about this issue. But I shall reverse the above question and thus focus on the answer of the following one: What and who is the state? 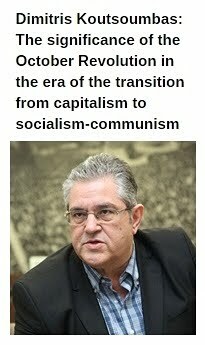 Marxists have long debated on topics like, which mechanisms attribute class character to the state; how the state serves the interests of the ruling class; in this process to what extent the state is capable of creating an autonomous area and how the apparatus of the state, in the existing context, will fade with the annihilation of all classes. There is a whole and very valuable sum of writings to comprehend and analyse the complicated structure of the state. The state is complicated but in another perspective, very simple. 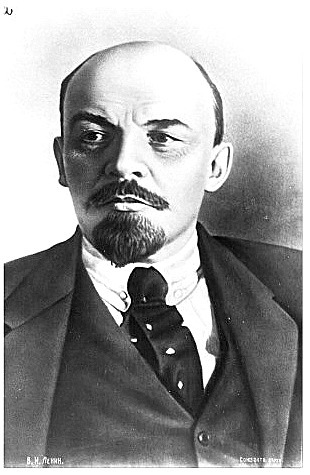 Beginning from the current social reality, the state serves the interests of the bourgeoisie. The reason for all the effort done to convince us for the ‘sacredness of the state’, is to conceal the above fact; to make the wide social masses believe that the state represents not only one class or group but all the citizens. Well then, is ‘sacredness’ not related with the will of the state for self-continuity? Is there not some truth in attributing ‘political wisdom’ to the state to emphasise this continuity? The concepts are important. The ‘wise state’ has a positive meaning, while the ‘deep state’ negative! This is what people do, swearing at NATO and CIA, while praising the American democracy. If the ‘deep state’ is a corrupted institution so must be the ‘the wisdom of the state’. Detesting the CIA but worshiping the government of Obama is an unconceivable and foolish attitude. Let us get deeper into the concept of ‘political wisdom’ and try to find the meaning wanted to be attributed on. Let us focus on the case of the Republic of Turkey. In this country since 1923, ‘political wisdom’ has been attributed to the cadres who, whatever the situation, were keeping their consistency and linking again and again the changing circumstances to the founding philosophy of the republic. For some people these cadres consisted of a small clique, while others pointed at an unsurpassable operational system, which also included the superior officials of the state. In a certain period, ‘political wisdom’ was personified by the Turkish Armed Force (TAF), but after the 15thof July this myth ended. Actually the ’political wisdom’ is not other than the mechanism, which ensures capitalism in total and its continuance in the existing world system. We may come to this same conclusion beginning from the issue of continuity. Throughout the history of the Turkish Republic many governments have changed, military coups had occurred, social mobilizations and uprisings had taken place and the political arena in general has been unstable and full of surprises. But in each case and example the interests of the big capital, the power of the monopolies, the capital owners have been protected. Capitalism, by nature, cannot be recovered, cannot be purified from its own self-contradictions, both in national and international scale. Throughout our history the capital owners have been ruling. This is what ‘political wisdom’ suggests. The ‘deep state’, on the other hand, consists of the extraordinary mechanisms, which are activated for the maintenance of the capitalist system when the entirely unjust juridical plane is not enough. There is no meaning in mystifying ‘political wisdom’ and ‘deep state’. The real picture, with all its nakedness, is there: the capital! The Gulenists, the nationalists, the Kemalists or the neo-liberals, it doesn’t matter, civil or military bureaucrats of different ideological orientation have been thinking themselves as possessors of ‘political wisdom’. This is an inevitable but on the other hand, insignificant fact. There are limits into what extent the different orientations of the bureaucracy can change the course of things, except in the case of a revolution that intervenes to the class character of the sovereignty. And looking at the general picture we can clearly say that the capital is ruling. Today, one month after the military coup attempt these statements are especially very important. The ‘political wisdom’ suggests that the Gulenists have been manipulated by global forces. In other words, they want us to believe the association of ‘political wisdom’ with this suggestion. In an aspect this is right, in another totally wrong. These forces are defined as ‘global’ because they want us to believe that the domestic forces of the Said Nursi sect and their modern derivatives, the Gulenists, are foreign elements of the internal dynamics of the country. Whereas in Turkey Fethullah Gulen is ‘global’ to the same extent with the so-called ‘national forces’ of capitalism. They tell us that the Gulenists are directly an operational apparatus of CIA. That may be true and has become more obvious in the recent years. But what CIA has been doing all this time? Just to give an example, it has been doing the same as CNN! 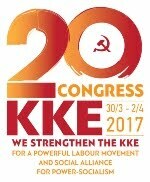 Its main mission is to supress and even extinguish the labour and its political agent, socialism, from the international arena. This time it will be alleged that CIA serves the interests not only of the international monopolies but also of the American imperialism; that is hundred per cent right. But at this point we have to ask this question: How the military, economic, political and cultural institutions and mechanisms that clearly defend the interests of the American imperialism have influence on Turkey? Was the network of Fethullah Gulen, expanding from TAF to the police force, from jurisdiction to diplomacy, from education to health system and from industry to trade, created by American agents or by the bog of capitalism itself? Fethullah Gulen and similar networks tried to penetrate to Cuba. What prevented them? 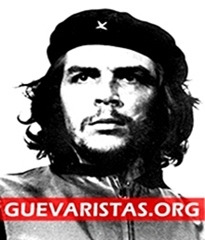 Of course, the social system of Cuba! Let us not deceive each other, the Gulenists are pro-americans, the operational apparatus of CIA but their power come from the greed of the bourgeoisie for profit and the effort to sustain its power. On July 15, the state was shaken, dashed and in some institutions totally canceled out. But since July 16, the state of emergency declared to restructure the state or to ‘cleanse’ the Gulenists, is not marked by the purge in TAF or the jurisdiction, but it was marked by the opportunities offered to the bourgeoisie. The President of the Republic saved his life at the last minute, the parliament was bombed, thousands of government officials were arrested, ten thousands were laid off but looking at the regulations we see the capital owners possessing a central position. 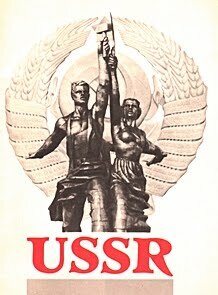 The number of the regulations which were passed this last month for the interest of the bourgeoisie, are equal to the regulations passed this last decade! Under each decree, each law, which comes in the name of ‘national consensus’, we can see the barbaric assault of the market forces. Dreadful. Even more damaging than the military coup attempt of the Gulenists! There is clear opportunism in the disseise, in the suspension of the law through arrests and detentions and in the meanwhile no one is interested with the economic ‘measures’ which are enforced one after the other. I say enforced because if you take a look to the busy traffic in the triangle among the presidential palace, parliament and the “business world”, you will see that I am right. The government wing after the big plot, is providing its unconditional loyalty to the bourgeoisie as the best way to assure itself. In the process of the restructure of the state, the perspective of the ‘privatized state’ is dominating. Therefore the belief that the authority of Erdogan has been strengthened will encourage him to take big risks, but this will make Erdogan more controllable and even create mechanisms that degrade him to a simple agent. 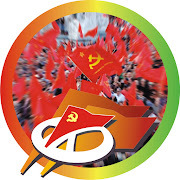 When a crime organization is caught up in the act and crucified, the real collective crime organization is pushing with all its power in the interest of the bourgeoisie against the public interest and labour rights. I have to immediately tell that this is a transitional period. Turkey may, in short time, be shocked by new assaults. But the bourgeoisie is protecting its interests in every condition. The real threat of Turkey is the bourgeoisie. The big monopolies are the biggest crime organizations, the most dangerous network. What we cannot watch in the TV’s are the confessions of this organization. The repentant Gulenists, the ‘deep’ and ‘shallow’ agents, the military officials who have been trialed unjustly in the past (‘Balyoz trials’), the exorcist sect leaders, all talk, but, no one talks about the mean class which possesses the key positions in the country. On 4th September, we will be meeting in Kartal, Istanbul to demonstrate also against this class."